BLANC de BLANC is a place where the champagne sparkles, eyes glimmer, the salacious and delicious combine for an evening of unparalleled pleasure. 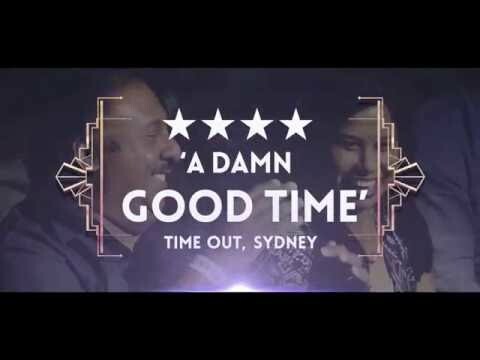 The premiere season was presented by Sydney Opera House for their seductive summer season running from 7 Jan – 28 Feb 2016 and the show has since performed to sold-out houses across Australia and internationally. Strut & Fret present BLANC de BLANC. Directed by Scott Maidment (AUS) and with costumes by James Browne (AUS), lighting and set design by Philip Gladwell (UK) and musical direction by Steve Toulmin (AUS). BLANC de BLANC serves a refined blend of vintage glamour, high-end spectacle and tantalising acts to infatuate, illuminate and delight. It brings the finest cabaret, acrobatic talent and eccentrics from around the world into a single, shimmering night. It’s the perfect crowd, a night of lavish laughs and immersive, effervescent fun. BLANC de BLANC offers bright top notes followed by rich textures, a smooth body and an utterly unexpected finish. Aerial Hotel Cart Act was originally created by Maria Terentieva for Blanc de Blanc and is used with permission.